Since the official delay of Team Sonic Racing last October, Sega has continued to release more information about the game via its social media platforms. These three characters confirm the 15 drivers. 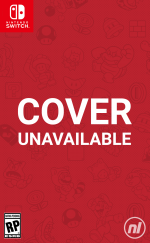 Previous racers revealed include Sonic, Tails, Knuckles, Shadow the Hedgehog, Rouge the Bat, E-123 Omega, Big the Cat, Chao, Amy Rose, Blaze the Cat, Silver the Hedgehog and Vector the Crocodile. 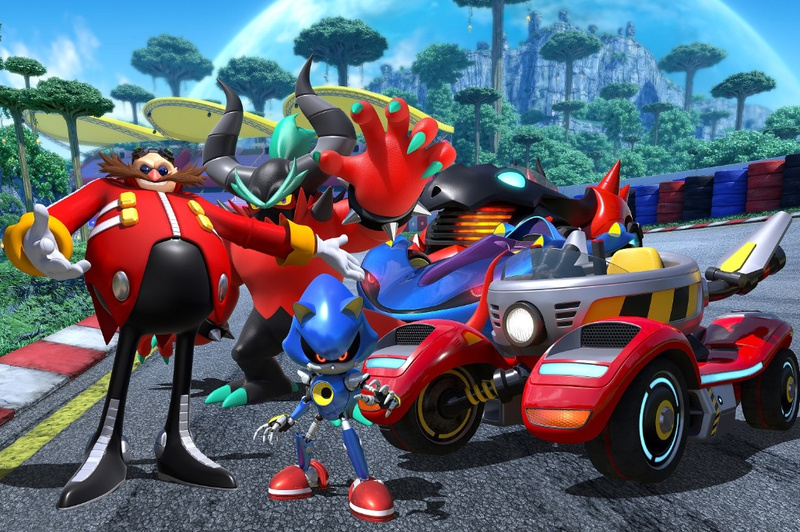 Are you happy with the addition of Eggman, Metal Sonic and Zavok? What about the rest of the cast? Tell us below. I'm really looking forward to this, more than the Crash Bandicoot cart racer anyway. I think this game could have some real promise. Surprised Zavok is getting a mention. Should get a sequel eventually. One of the better (albeit short) Sonic games in some time. Someone at Sonic Team really loves that Deadly Six character. And yet his pals get nothing. Honestly I was surprised to see Zavok get added to the character roster. I'm pretty happy with the character roster, and looking forward to racing as Amy personally. Though I was unaware Blaze, Silver, and Vector was even added, that's news I missed. I look foward to playing it! @CurryPowderKeg79 I'm really looking forward to this too because I loved Sonic All Stars Racing Transformed on Wii U. But do yourself a favor, and never use the phrase "am I the only one...?" You live on a planet with seven billion people. No matter what it is, you're not the only one. You are correct thanks, i've edited my post and will never use that phrase again. Personally I'm fine with Zavok. I really enjoyed Lost World so it's nice to see a Wii U game still get representation in the Sonic series. Yeah it had its flaws but at least I somewhat understood Zavok's goals. Someone like Infinite is just too whiny and hollow so I feel Zavok was a better pick. (Zeena is best girl don't @ me). I cant wait to play this. I love a good cart racer and this looks great. This is an amazing revelation. Sega is part of the USSR and Sonic takes place during the Cold War. Yes!!!! I’m excited for this game. I like how they couldn't even bother to make a proper render of this, and instead slapped all the different bits on a background, each having a different shadow origin. It looks extremely cheap. Eh, I'd rather have Jet (from "Sonic Riders") over Zavok, but Zavok isn't a bad choice. I wish the Sonic franchise would dissolve already; it’s embarrassing to see it being dragged out these days. I say it on every post to do with Team Sonic Racing, but I'll say it again. It continues to look terrible. Cant say only 15 characters is pushing the boat out... still think a sega all stars was a far better route... even if it was a Team Sonic Racing (Feat all stars) and you could unlock a loads of the sega guys. I just cant get excited about many of those guys. even though his return makes little sense, seeing as in Lost World he didn't even want to work for Eggman only cause he had this thing that made the Deadly Six's ears hurt, and lost it near the start of the game, letting Zavok do his own thing leading to Eggman to join Sonic & Tails unless this is another copy/fake like in Forces..
either way this Mario Kart clone aren't looking so good, stick to Sega All stars... or Out Run. @Jingo_Unchained he was in sonic forces too... and it was weird then too. I thought that one was silver sonic? Isn't mecha sonic in sonic 3? Mmmm weird. I still think Vector should have had the Chaotix, give Zavok 2 of his other team members, and replace them with Mighty and... I dunno, Infinite, Mephiles, Eggman Nega... okay maybe Zavok was one of the best choices for a pure villain character to round out the trio. Oh, and Chao over Cream is such a weird choice still. I always wonder if the real name is Robotnik according to his creator why Eggman is being used instead. I like Robotnik more than Eggman. According to Sonic Team, "'Robotnik' is the character's real name while 'Eggman' is a 'common name taken after his shape.'" Sumo Digital make awesome racing games and I love the Sonic universe so this is a no-brainer. Still doesn't look anywhere near as good as either of the All Star Racing games.